If you are interested in fishing, you will undoubtedly like this beautiful fishing school fishing hoodie. 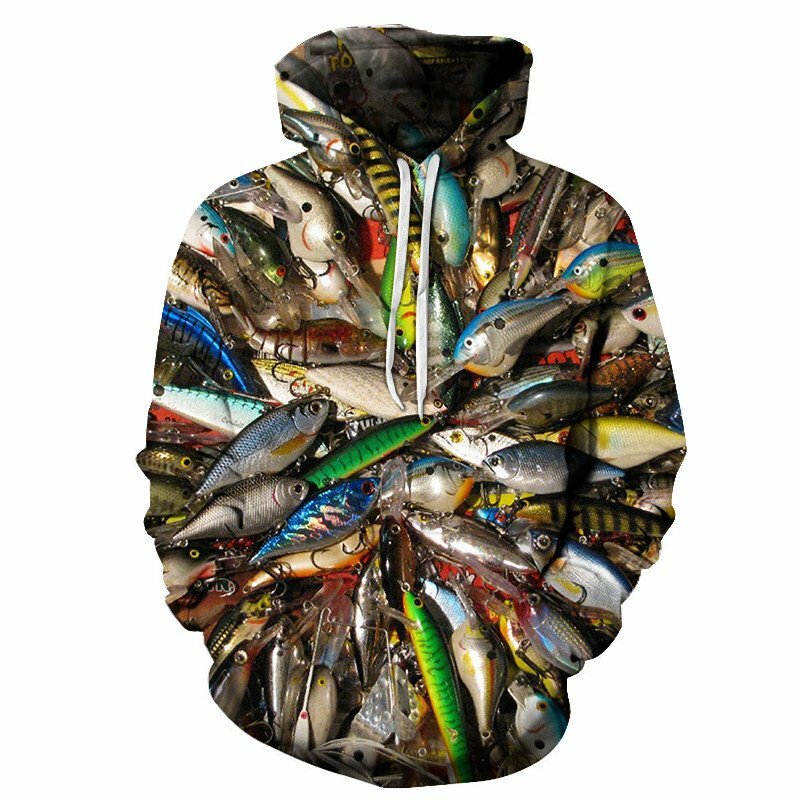 Quite a mouthful, but this fishing hoodie captures a school of fish all piled on top of each other. This gives some powerful color contrasts. Nice sweater but the picture is not that Sharp.